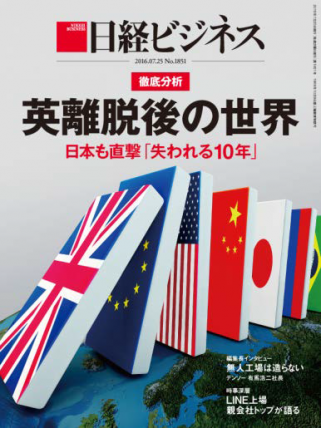 Readers of Nikkei Business are the very people who keep the wheels of Japan’s economy turning, and this shows in the highest paid circulation of any Japanese business magazine. The readers place such faith in us that close to 80% never miss to read an issue. The depth of our analyses on important news matters, our focus on the latest business trends, our ability to pinpoint what is truly vital have all contributed to making Nikkei Business into the one indispensable publication for the business community and opinion leaders.